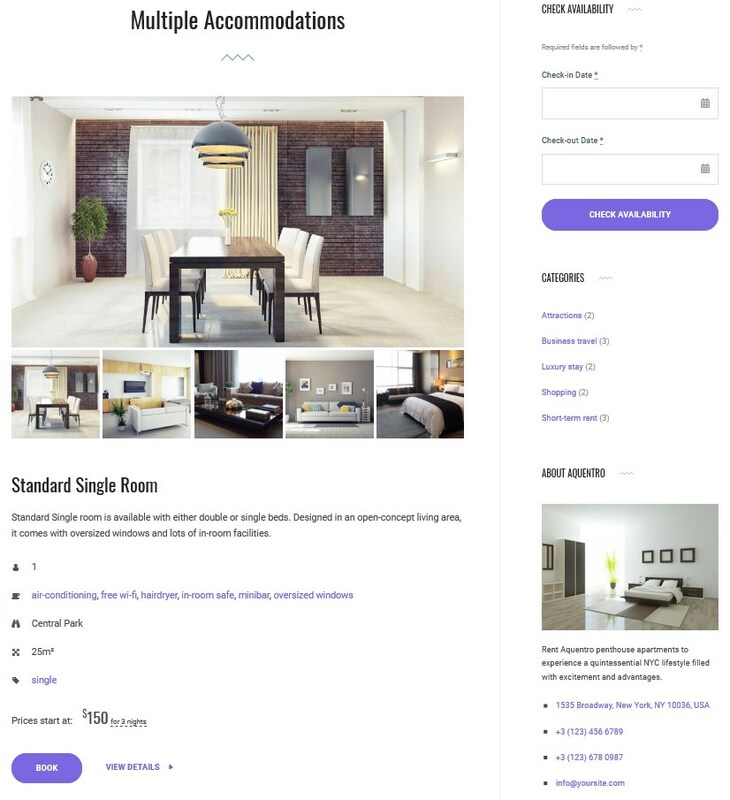 In broad strokes, this theme will allow you to create a recognizable online brand image, accept direct bookings using popular payment gateways, connect your direct website reservations to OTAs, etc. The price of $59 covers all this functionality – and even more. 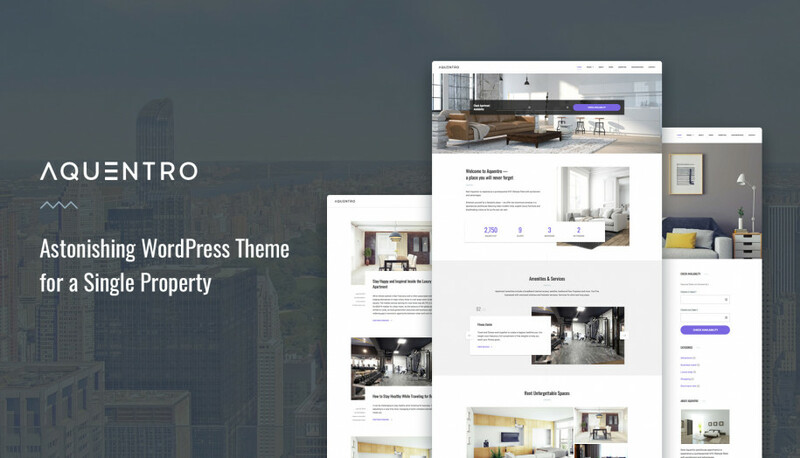 Who should use Aquentro Single Property Rental WordPress theme? 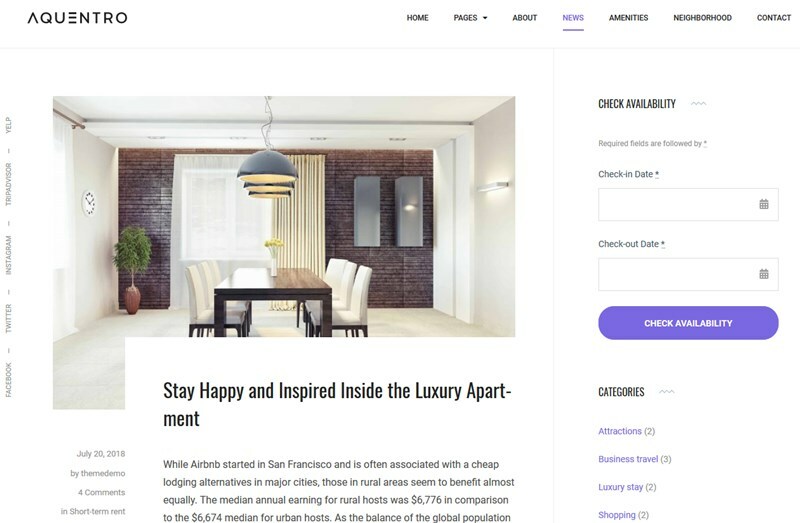 By default, Aquentro apartment rental WordPress theme is optimized for a single rental property making it perfect for Airbnb hosts, b&b and single vacation rental or apartment owners, etc. However, does that mean you can’t use it for two or, say, 202 rental units? Instead, the prospects only see check-in and check-out date pickers to instantly check a property availability. This is a great way to simplify the process of booking an individual accommodation. However, if you need to list more than one rental unit, it’s absolutely easy to change default plugin settings and make it real – add unlimited rentals and enable more search parameters for the search availability widget like a number of guests. This is enough to turn on the search through all rentals. By the way, the title of the search form is editable in Widgets, so you can customize it to fit the needs of your brand. For example, if run a hotel, you can replace “apartment” with a “room”. As you see, the theme is very flexible and suitable for any type and number of rental accommodations. So apart from a very smart WordPress booking engine, what makes this theme special? 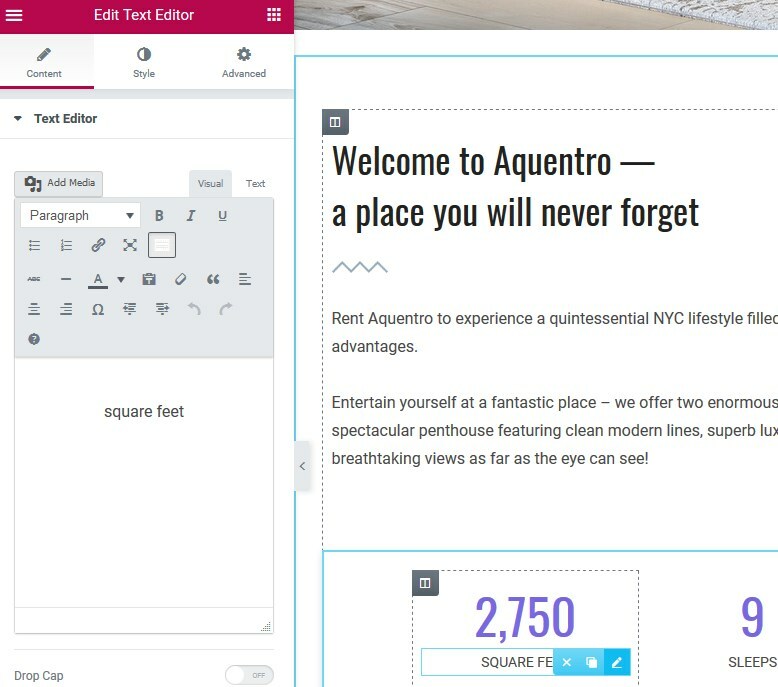 Aquentro is ready to give a special vibe to your property brand thanks to a unique uncluttered design, lots of useful content blocks and, most importantly, an easy tool to customize any piece of content. Let’s elaborate. 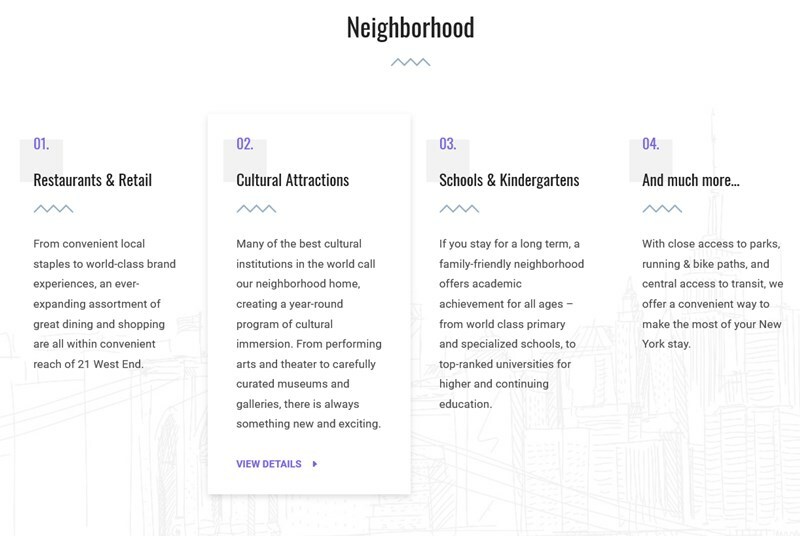 Or intro section – no matter how you call it, the theme gives you space to grab visitor’s attention with a visually appealing and informative property introduction. These are real things that influence the choice of your prospects. To give your website a good portion of versatility, put major amenities and services in the spotlight to create a wow effect with an appealing slideshow. This content block was designed specifically for Elementor to provide you with an easy way to update content. It’s crystal clear that nobody will walk into your lodging without having an idea of how it looks in reality. 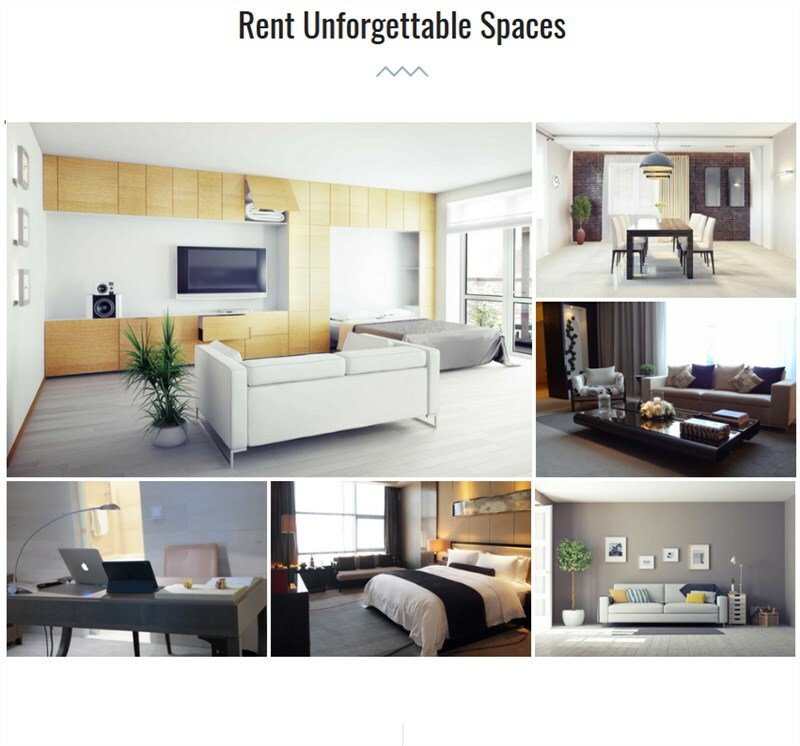 Create an impressing image gallery with the Jetpack plugin and show your rental units in the best lights. You can choose different styles for this gallery if you are not satisfied with the default appearance. 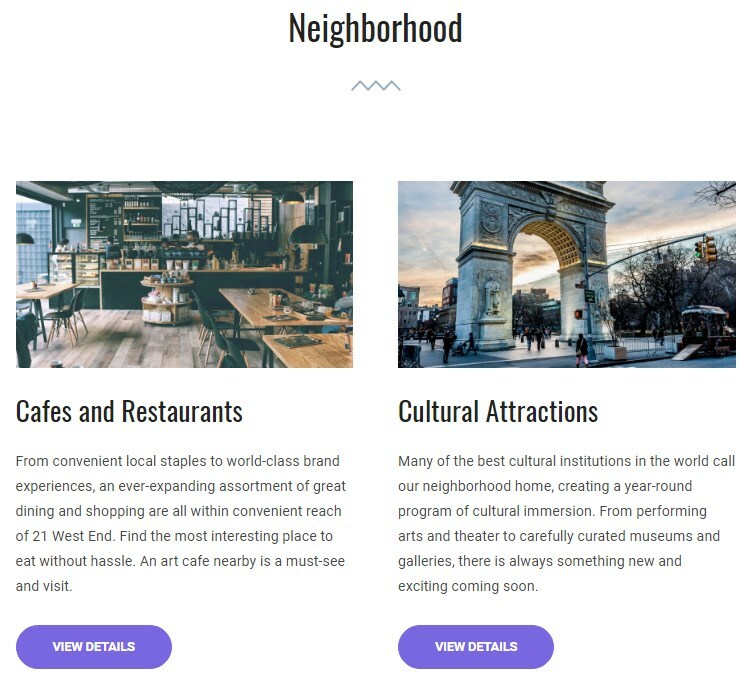 This is also a custom section designed with Elementor editor – you are free to list the main benefits of your lodging, list leisure pursuits nearby, offer guests the best deal by booking directly, tell your story or find any other creative way to lure your prospects. 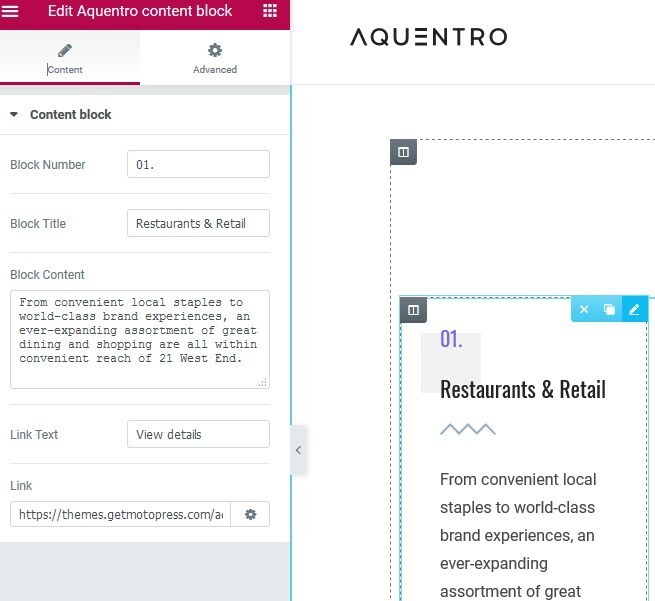 You’ll be delighted to see how this block looks with your custom content. Such a cool structure is achieved without extra plugins, with just WordPress child and parent pages. No rental accommodation can live well without social proof. 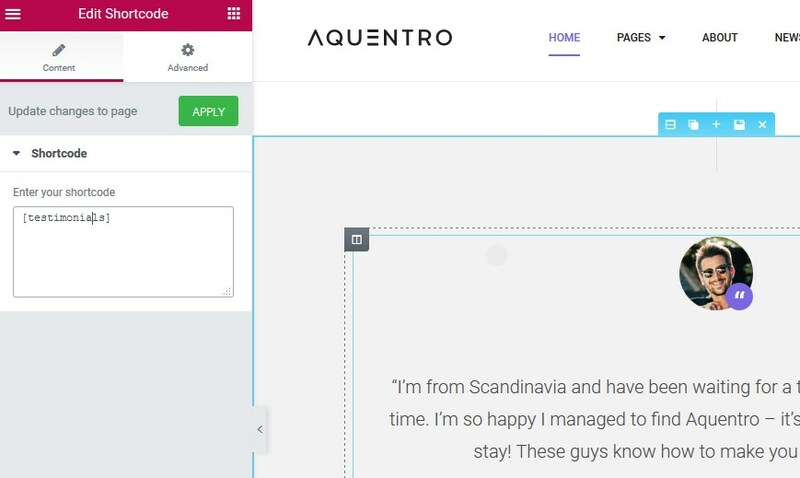 To add guest reviews to Aquentro theme, you’ll be able to use Jetpack plugin. The process is very simple as you just need to add reviews and then paste a Jetpack testimonials shortcode into Elementor builder. The background image for Testimonials section is also customizable, so you can create a unique identity for your website. Letting real users submit their reviews and rate your properties is possible too: the Reviews and Rating feature can be enabled via dedicated addon for MotoPress Hotel Booking plugin. Want to add a section? No, problem, with the Elementor Builder you can add new blocks of any type in real time. If you like custom Aquentro theme blocks, you can also save them and reuse on the front page or any other website page. 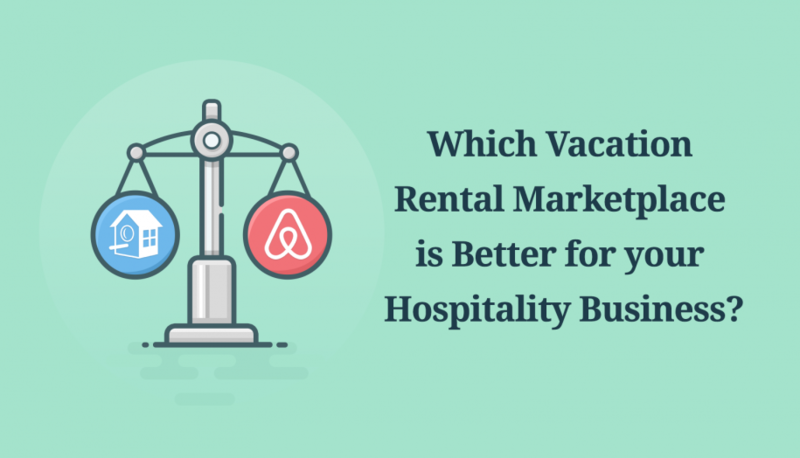 Regular blogging using local keywords can help you increase visibility of your rental accommodations across the search engines. Aquentro’s blog design is simple and beautiful; a single post can be displayed with or without sidebar. 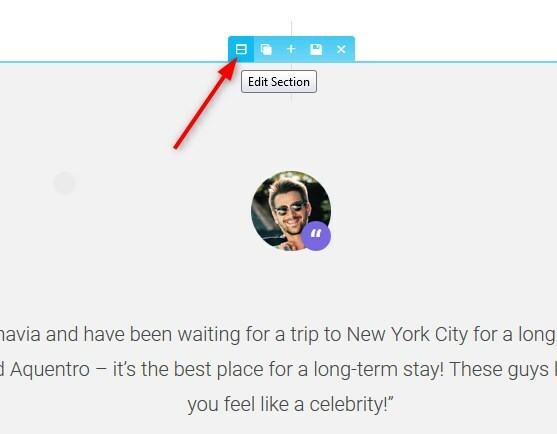 There are 2 widget areas in a theme: the front page top banner uses a search availability form by default (you can replace it with any to your liking) and footer widget. 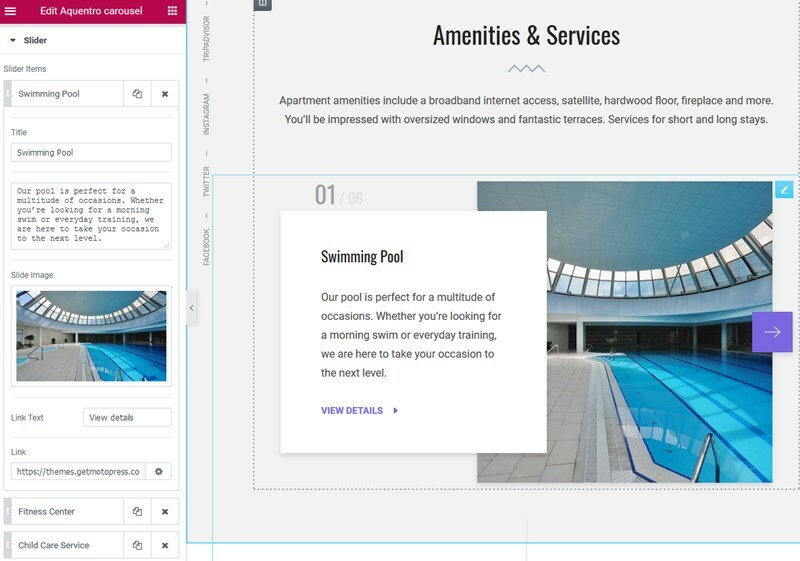 Using a footer widget, you can integrate any content block – a simple text or social icons, breathtaking 3D walkthroughs, contact info or anything you think is suitable. The contact form powered by Jetpack is actually very simple, it’s primarily suitable for general inquiries. If you need more complex forms, you can any with a different plugin. You can also integrate Google Maps, add images, texts and other useful info with Elementor. Start customizing the theme without any hassle using 1-click sample data import feature. This will let you skip all technical steps and start editing the theme with pre-made content blocks just like on the demo. Aquenro is powered by the MotoPress Hotel booking plugin. That means you don’t need to pay extra for it (saving at least $49), the plugin is built into the theme for free. Simply use its functionality to the fullest! For those of you unaware of the plugin, it’s fully dedicated to managing your rental properties and bookings, without a need for extra bookings managers or the like. It lets you feature unlimited rentals in a structured way – with amenities, size, capacity, etc. Any rental can be easily previewed on a mobile or tablet device and booked online. Since the categorization of rentals is taxonomized, the process of adding new units is highly automated. Flexible pricing system: seasons and rates, per-guest price variables, different per-night prices based on the length of stay, etc. The price is automatically changed depending on the search parameters of your guest. An ability to enable prepaid bookings and connect your accounts to receive money: PayPal, 2Checkout, Stripe, Braintree and Beanstream/Bambora. These are default gateways that you can use for free (more gateways are available with our paid WooCommerce extension). Automatic synchronization with online travel agents via iCal. This is an optional feature you can enable without a need to use pricey middleman channels. Mandatory taxes and fees to be included into the final charges – serviced apartments, hotels and vacation rentals can easily include taxes and utilities into the price. 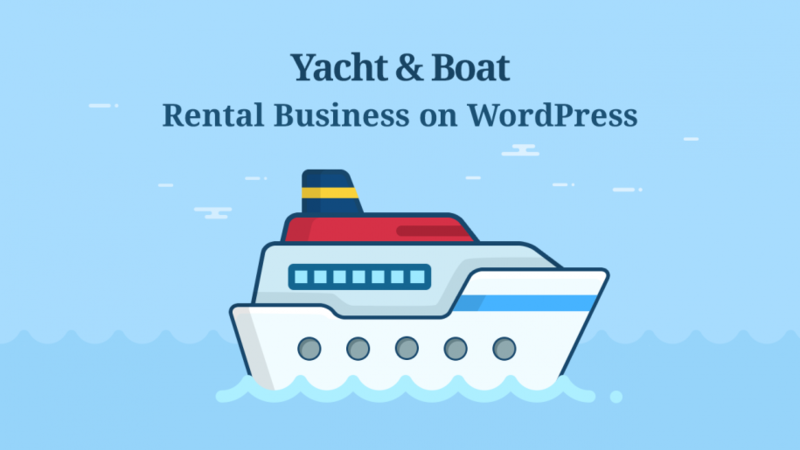 Once your website is built, don’t forget to check our guide on how to increase a WordPress property rental website traffic. 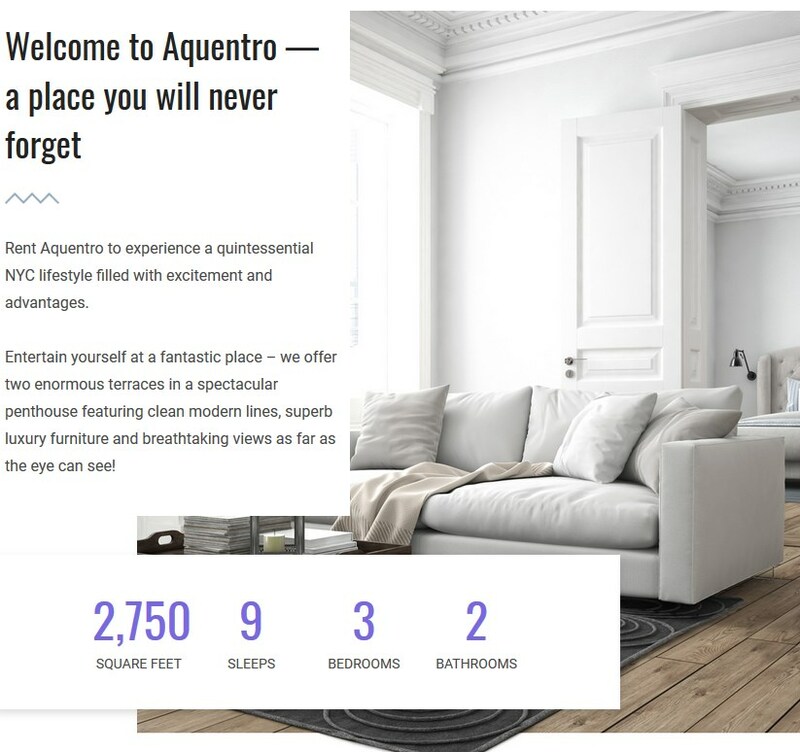 Aqunetro is visually simple, lightweight and truly unique WordPress rental theme for a single or multiple properties. 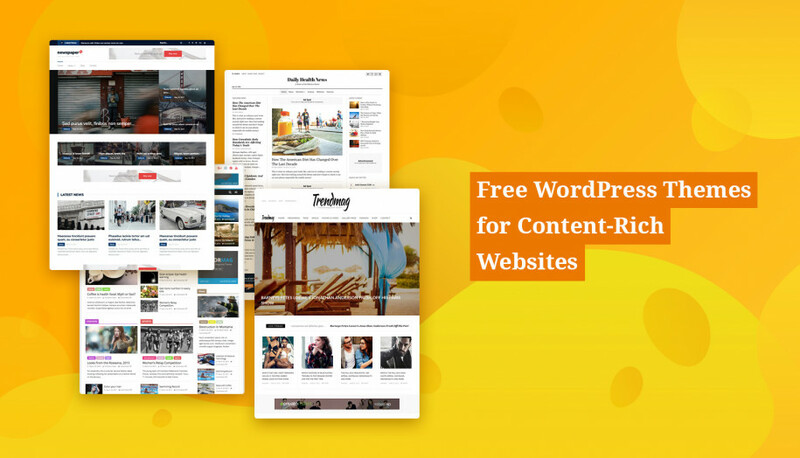 One of its evident strengths is that it comes with the premium WordPress booking engine for free, so it literally rolls up a professional design and a full-fledged WordPress booking functionality into one theme. Moreover, it’s absolutely easy on customization – simply perfect for not tech-inclined people. 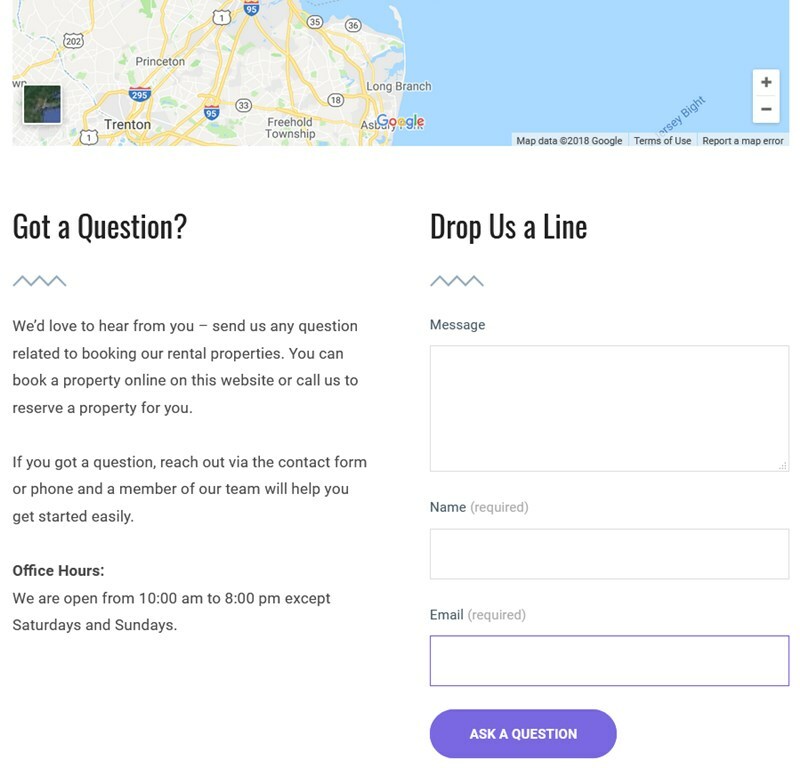 Since the theme is by default optimized for a single rental property, owners who are looking for this particular functionality and design solution will be able to put their website on in hours. Still have any questions? Feel free to ask! *MotoPress Club members can download this theme for free and use on the unlimited number of websites without restrictions. Thanks for taking the time and writing this post.Excellent article you have shared here.I’d like translate my site in different languages and have separate urls for each language. Is this possible with the 55 USD single site license or do I need to buy the unlimited sites license? Thank you for your question. 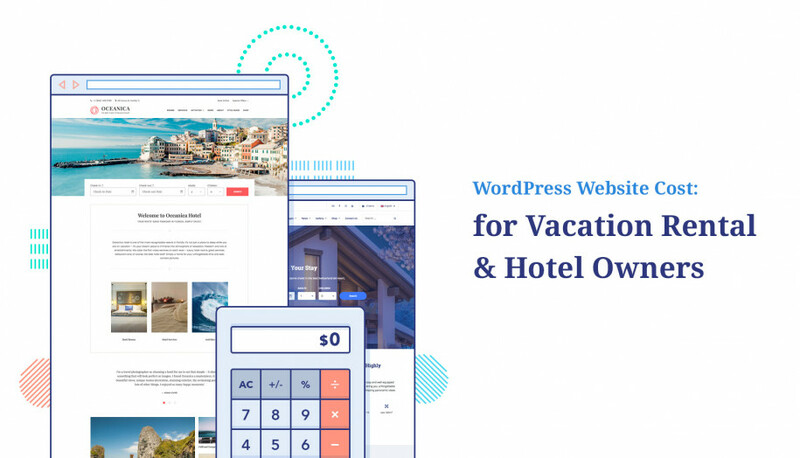 Our themes as well as Hotel Booking plugin is 100% compatible with WPML plugin so we recommend it for translating your site. It would be enough single license to use sub-directory structure of the language version. Let us know if you have any additional question. Hello, I’d like translate my site in different languages and have separate url’s for each language. Is this possible with the 55 USD single site license or do I need to buy the unlimited sites license? Thank you for your question. In order to make your WordPress website multilingual we recommend to use WPML. 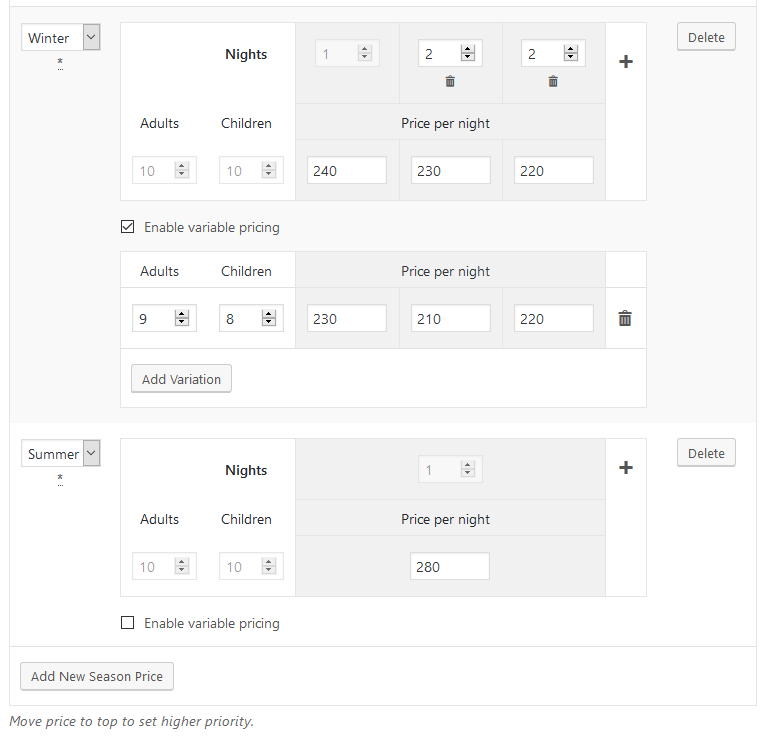 Our Hotel Booking plugin that is used on Aquentro theme is 100% compatible with WPML. It is not included in theme by default so you can get it additionally. The difference between Single and Unlimited licenses is amount of sites where Aquentro theme can be used. Single – 1 site, Unlimited – unlimited sites.